Convert flash to image by command line. Convert SWF to image in batches. Resize image created from flash frame. Flash to Image Converter Command Line is a command line product which can convert frames of flash video to images. By running the MS-DOS interface, users can convert frames of flash video to images with command line. In the application, there are various output image formats. In addition, Flash to Image Converter Command Line can resize the output images. For the purpose of capturing different numbers of images, the application also supports to set the capture time interval in the conversion. Flash to Image Converter Command Line can be used to convert frames of flash to images by command line. By inputting different parameters, the application can realize different functions. Flash to Image Converter Command Line natively supports script calling. 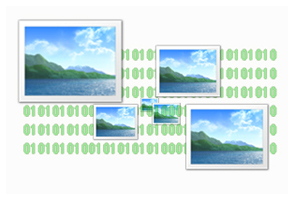 It supports to convert multiple images in batch via a batch script. 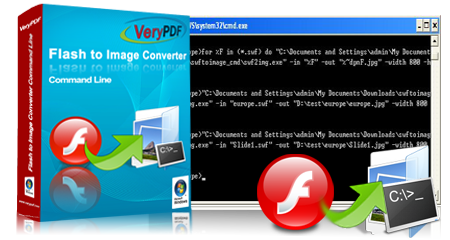 Flash to Image Converter Command Line allows resizing the converted images by the command line if you need to obtain different sizes of output images. 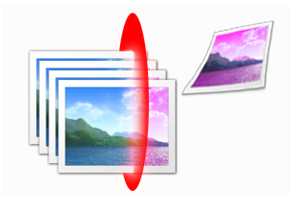 Support lots of output image formats, such as PNG, GIF, TIF, PCX, BMP, JPG, TGA, MNG, etc. 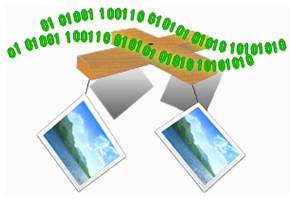 Allow converting frames of more than one flash video to images in batch. Support to set the size of the converted images. Able to control width and height of output image files. Support to set the capture interval when converting flash to image. Able to convert Flash SWF files to image files. Allow users to know how it works via great flash preview window.